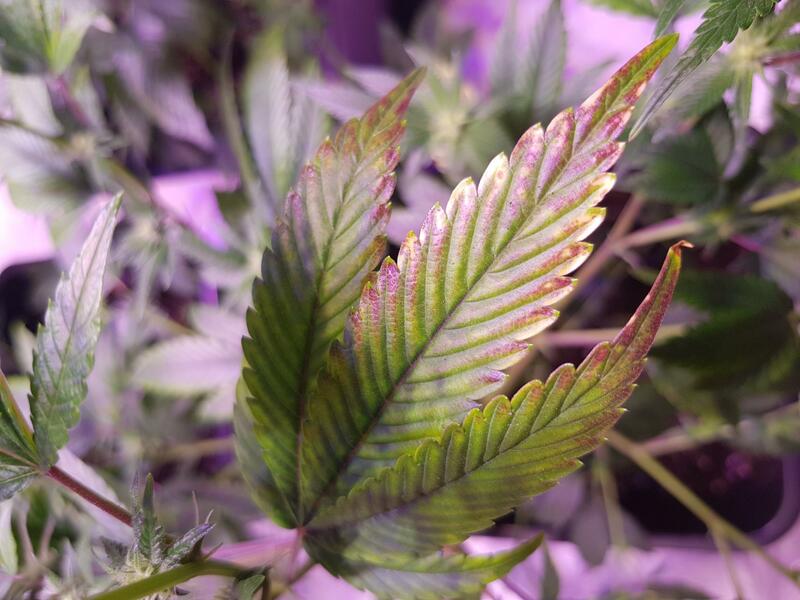 It looks like some sort of deficiency or excess, hopefully someone with more experience will provide some useful information. This is usually caused by nutrient lock where there is a build up of salts in the dirt and the plant cannot make use of them. 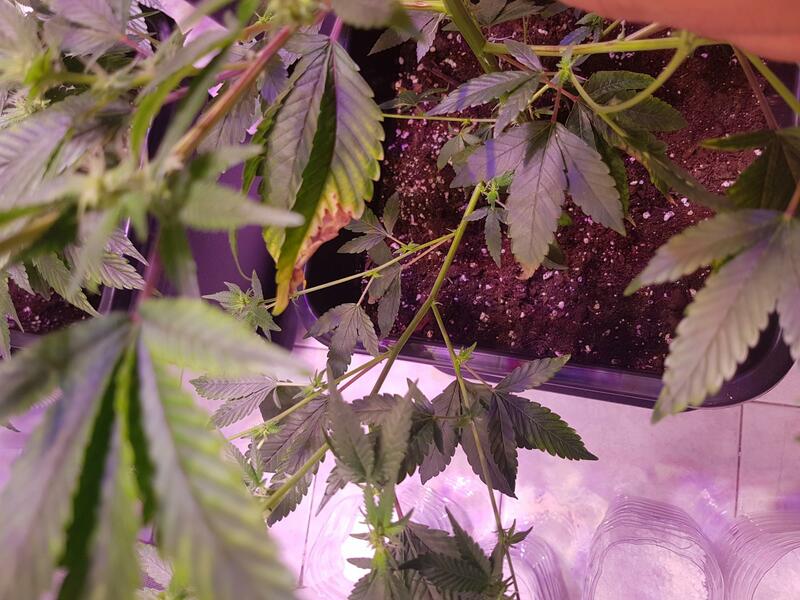 I would advise you to flush the plant with clean water no nutrients, make sure to water the dirt with plenty of water so you get water coming out the bottom of the pot, what we call run off, then repeat, the run off water should look a brownish colour this should look lighter when you water the second time. Last week I flushed my plants I gave each of them 4 litres of water then another 4 litres to flush the dirt, normally when I water them they around half a litre of water and feed solution, so puttting 8 litres of clean water through the pots I could see the run off get lighter the second time as the nutrients were flush out of the dirt. Don't worry about the amount of water you need to use to flush the dirt, because the dirt can only hold so much moisture so it will probably only take a couple more days longer than usual for the dirt to dry out and it is time to water and feed the plant again.